Although drinking beer is often associated with frivolity, the process of brewing is solidly grounded in science. It’s a complex process that involves malting grains, mashing, lautering, boiling and fermentation. The method of fermentation varies depending on the type of beer you want to produce, and flocculation and attenuation are essential parts of the process of fermentation and the ultimate creation of delicious beer. Flocculation comes from the word “floc,” which is the technical term for when yeast cells clump together during fermentation. 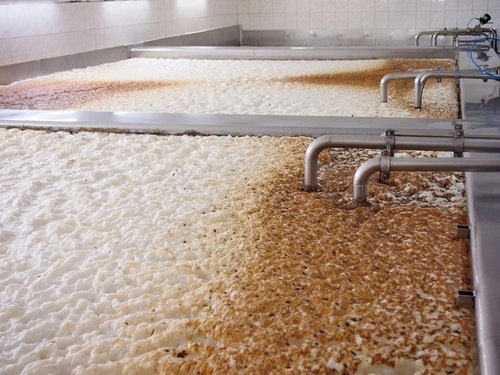 These clumps either rise to the surface or sink to the bottom of the vat, depending on the strain of yeast being used. Because flocculation is reversible, the yeast can be collected and reused numerous times. Flocculation happens when proteins in the yeast, referred to as flocculins, stick out of their cell walls and bind to the cell walls of other yeast cells. Brewer’s yeast is categorized according to how soon it flocculates. High flocculation means the yeast starts to clump early in the fermentation process (after three to five days). This means not all the sugars will ferment, as the yeast flocculates before the process is complete. When dealing with high flocculant strains, you may need to recirculate the beer to finish fermentation. They are typically easier to filter. Medium flocculation strains are used more often. They flocculate further into the flocculation process — around six to fifteen days — and can be nudged along by lowering the fermentation temperature. Low flocculation strains flocculate late in the fermentation process, typically after 15 days. These strains tend to be best for wheat beers. Various factors impact flocculation. 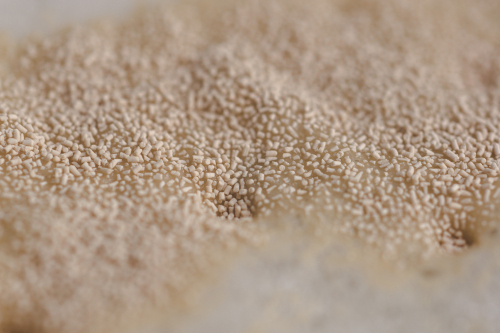 The nutrients and conditions to which yeast is exposed can influence flocculation, sometimes even preventing it altogether. Temperature and pH levels can also affect flocculation, with slightly acidic conditions being best for most strains of yeast. Oxygen content also manipulates flocculation, and if the wort is poorly aerated, flocculation can occur earlier in the fermentation process. Ethanol impacts flocculation, too. The age of yeast also makes a difference. Older yeast cells flocculate earlier than newer yeast cells. Proper yeast storage is an essential factor in flocculation. Storing yeast at higher temperatures increases flocculation. If you are re-pitching yeast, your cropping method can make a difference. 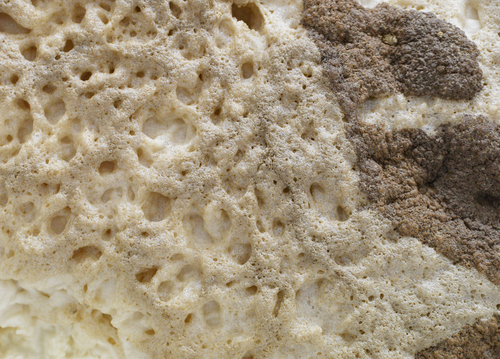 The yeast sediment is layered, with older, more flocculent cells at the bottom and younger cells at the top. For re-pitching, you may want to use the middle of the crop. If you are having trouble getting the results you want during the fermentation process, fermentation enzymes may help. There are many varieties that can assist during fermentation as well as during other phases of the brewing process. Attenuation also happens during fermentation. It refers to how well a given strain of yeast converts sugars into alcohol. The attenuation rate of yeast is usually listed as a percentage. Different attenuation rates result in different strains of beer. To measure attenuation, you use a hydrometer to measure the original gravity and final gravity of your beer. This is called apparent attenuation, as measuring gravity doesn’t give you an exact measure of attenuation due to the presence of materials like proteins and phenols. To find your apparent attenuation, subtract your final gravity in points from your original gravity in points, divide that total by the original gravity in points, and then multiply it by 100 to get your percentage. For example, if you had an original gravity of 1.056 and a final gravity of 1.015, your formula would be (56-15) / 56 * 100 = 73 percent. There are numerous factors that can impact attenuation. Fermentation enzymes, such as SEBrew AT, can make a difference, for example, by increasing the fermentability of your mash. The mash temperature and mash schedule can also impact attenuation. The water-to-grist ratio and the mash pH can also affect attenuation. Thinner mashes have higher rates of attenuation. The strain and health of your yeast make a difference. Yeasts with less flocculation will ferment more sugar, and healthy yeasts can handle ethanol better. The oxygenation, contamination levels, nutrients and number of generations of your yeast will all impact attenuation. Higher temperatures will accelerate attenuation but may also produce unwanted flavors. Some brewers choose to raise the temperature near the end of fermentation to help with attenuation and minimize issues with flavor. Yeast pitching rate is another factor because the more yeast you pitch, the faster fermentation will progress, but overpitching can reduce yeast growth and lead to yeasty-tasting beer. Oxygenate well when pitching and add other nutrients if needed to mitigate this. Agitating the yeast can improve attenuation, but it shouldn’t be overdone. Remember to change your fermentation time based on your attenuation rates.